The 9 Best Retirement Activities in Connecticut! Now that you’re retired, you have the time to do the things you’ve always wanted to. Just because you’re retired, doesn’t mean you can’t get out there and learn a new skill or pick up a new hobby. 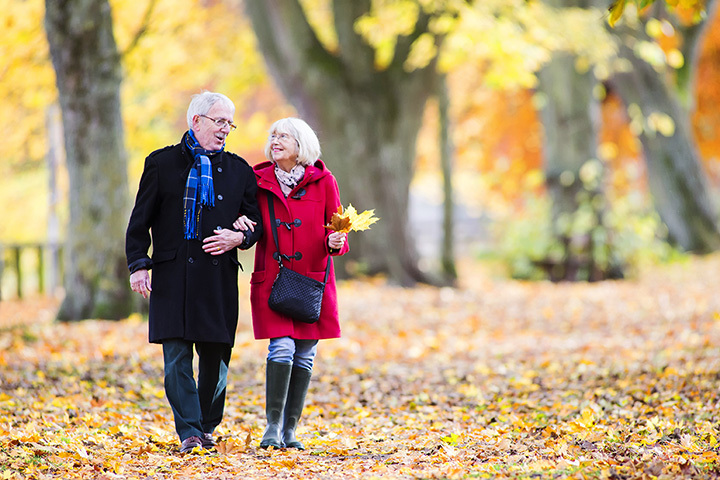 Connecticut offers plenty of activities for its retired residents with numerous educational and volunteer opportunities, physical activity classes, workshops, and other events. Here are the best retirement activities in the state. Continuing education programs in Connecticut offer Spanish language courses for a reasonably low fee. For example, the Stamford Adult Education Center offers eight sessions of beginner Spanish class for a fee of $119. The Norwich Regional Adult Education Center also offers both Spanish and English courses for a slightly cheaper fee. If you’re an animal lover, why don’t you spend some of your free time volunteering with homeless animals? The Connecticut Humane Society welcomes volunteers at their Newington, Waterford, and Westport locations and also offers fostering opportunities. Volunteering includes cuddling with cats, cleaning cages, and dog training (but this option is only for professional dog trainers). Libraries provide wonderful services to towns and cities across the U.S. and are such valuable public resources. Several libraries across the state of Connecticut offer free computer classes with the specific aim of teaching those with no computer skills how to navigate email, the web, and word processing software. Both the Brookfield Library and New Britain Public Library are just two of the many libraries that offer such classes. Free yoga classes are available through senior centers in numerous locations across the state to provide easy access for all senior citizens. For example, yoga classes are offered at Waterford Community Center on Wednesday mornings. They also offer a chair yoga class for those seeking activity and community, yet require the added support of being active while seated. Senior centers, such as New London’s Senior Center and other libraries across Connecticut, offer cooking class events. Perhaps you can learn how to cook up your favorite Italian dish at home or learn to bake a new, prize-winning pie at one of these free courses. Book clubs keep you reading and allow you to connect with other local bookworms. The Mystic & Noank Library offers a monthly history book club that is free to join. A variety of other book clubs are also offered including both an afternoon and an evening book club focusing on fiction novels. Check your local library to learn about the book clubs available in your area or considering proposing your own book club. My outreach tour to promote "The Artist's Garden" show continues 🌻 I feel lucky that I'm visiting the most beautiful libraries, too👌🏻Thanks, @mysticnoanklibrary! For the low rate of $60 per year, adults 50 and older can choose from a wide array of classes offered in numerous subjects. This is an excellent way to keep your mind sharp and learn new skills. Courses are often held at Middlesex Community College during the fall and spring semester and classes are also held over the summer. Salem Land Trust and multiple other land trusts and nature centers in Connecticut offer classes, workshops, and the opportunity to volunteer to maintain trails. Workshops and trail walks can educate participants about predators, butterflies, spring birds, and more. To get in touch with your creative side, check out the adult classes at Sawmill Pottery. Adult classes come with two hours per week of free open studio time. Tool kits are $20. To find out more about prices for the varying levels of classes available, check out their website! You’ll be sculpting a work of art in no time. What a great idea by @dougpeltzman and @peterpincusporcelain for us all to share some of the skills we have with the rest of this online community #givingteaching This is a technique I've adopted from my teacher Joan Watson, with a little Tom O'Malley. We teach students to throw symmetrical, but the truth is that the energy in beginner work is un-repeatable. The wheel offers us such movement that is often ignored. Here I add a swirl to the top of a mug. It's one way I try to get some of that energy of wheel back into my pots. The side of my thumb pushes in to the mug on the outside, while just above it on the inside my finger pushes out. As the wheel slowly turns I "bounce" my hands together as I move towards the top of the mug. At the top, hold to get the top even again. Easy.